Mothers, lock up your sons: Rogues Gallery is coming. 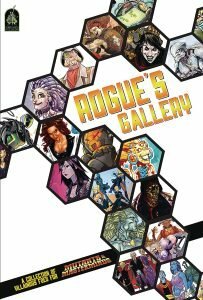 This hardback collects the 40+ Rogues Gallery PDFs in one collection, along with a dozen new villains and antiheroes to terrorize your campaign. Your heroes could fight one a week and still not finish by New Year! 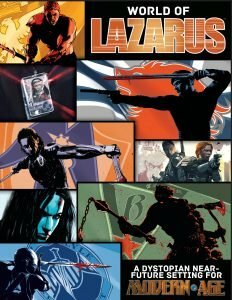 Villain books are a classic installment in superhero RPGs, going back to classics like Champion’s Enemies supplements or Heroes Unlimited’s Villains Unlimited. They provide opponents to fight, sure, but they also flesh out a side of the setting that heroes rarely get to see, and that hero-facing books rarely delve into. If superhero games, at their core, are about optimism and what one determined individual can do to help others, then villain books show the pessimism of those same worlds: What happens when someone, despite all their power, can’t or won’t use it to help others, or even themselves. Mutants & Masterminds has always been about nuance and complexity—every bit as much it tries to be about being your best self—and I think the incredible diversity of characters presented in Rogues Gallery showcases some of the best that Earth-Prime has to offer: Classic throwbacks to the Silver Age like Amalgam, Elzaya, and Tun; villains that seem to painfully mirror our real world like Drive-By and the newly returned House of Usher; cold professionals like Chakram and IGT-92; off-the-wall weirdos like the Candy Crew, Newt, and Explodo, and more than a few characters who came so close to being one of the good guys like Arctic Fox, Eminence, Freestyle, and Red Mist. This last category are probably the most vital, holding a mirror up to reflect the ugly failings of the world, and all the things the heroes, through luck or perseverance, have escaped. “There, but for the grace of God,” is a popular and heart wrenching theme in a lot of comic books; it provides a moment of introspection in a medium that is all too often about jumping between spectacular fight scenes. Alien-Gator II: This time, it’s personal! An alien from the alligator-like race known as the Jereid, Ssellessk’thaa was trapped on Earth as part of Freedom City’s recent refugee crisis. More aggressive than her 60s-era counterpart, and in full possession of her wits, she sees humanity as the corrupt, selfish, and brutal creatures they are, and has turned to crime against this unjust system in order to acquire what she needs to escape Earth and return home. 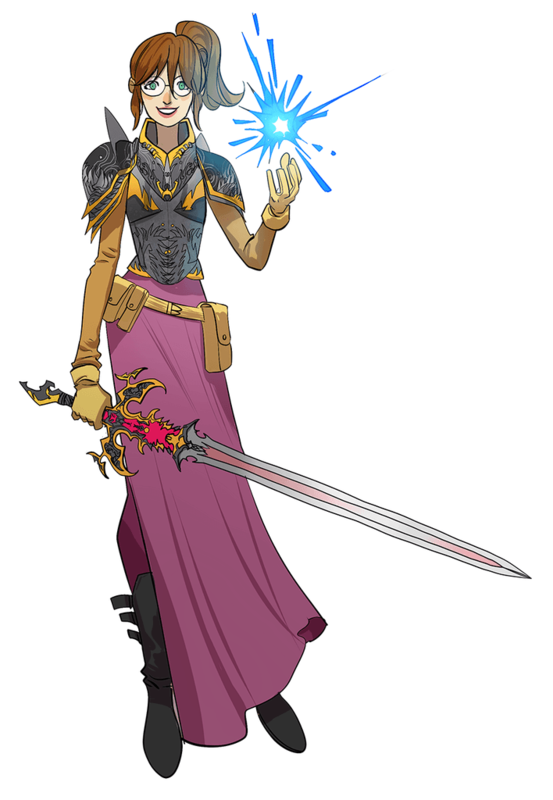 Empress Sola: One of the many Dark Lords held in check by the now-deposed Una, Sola rules a dimension deprived of its magical core, forever cursed to siphon the life force from other worlds to survive. Now Sola has set her eyes upon the magic-rich world of Earth-Prime. Johnny Frostbite & Ice Princess: This daddy-daughter duo share the same ice powers, but radically different instincts for using it. Johnny hopes to shield his beloved daughter from the life of crime he fell into, but they remain on the run from a vindictive ex-wife. Lady Guillotine: The new Lady Liberty has her own arch-nemesis after only a few months on the job, and her rival wants more than just Sonia’s powers: She wants her head! Maestro II: With the original Maestro vanished, a handsome young inheritor has claimed the Master of Music’s legacy and wields similar powers. MegaStar: Included by popular demand! Christopher Beck was a member of the original Next-Gen some 15 years ago, but never seemed to find his place in Freedom City’s hero community after graduation. A disillusioned man desperate to find something to belong to, he has a whole new team as one of the Argents! Mother Moonlight: Heroism isn’t without its casualties, and loss drives people to terrible ends. When so-called heroes slaughtered her children, Anna-Marie Delgado gave herself over the goddess of rebirth in order to gain the power to take the children—literal and metaphorical—from every monster who wears the mantle of hero. 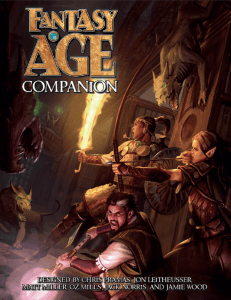 The Orphean: Trevor Cushing led his ideal life once upon a time. Studying music and magic alongside his wife, the pair could easily have shared the role of Earth’s next Master Mage as readily as they shared a life and soul. Now that his wife has been maliciously ripped away, though, the Orphean focuses on nothing but tearing down the boundaries between life and death to restore her to his side, no matter who else must suffer. Prince Rokkar: The Star Khan’s campaign of conquest rolls over other stellar empires large and small, and when it conquered the Kash’rodan Empire, Khanate governors banished the juvenile prince to the backwater planet Earth. Though young, Rokkar wields the strength, fury, and firepower of a true Kash’rodan warrior, thanks to a little support from his loyal nanny-boy, MC-1. Princess Silverwing: Power don’t make someone a hero, as Alison Middleton insists on demonstrating. 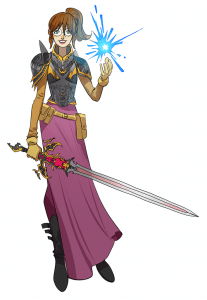 Afraid of being mundane, she convinced herself that her mutant ability to generate gravitons is actually “fey magic,” proving her “true” heritage as an exiled princess from a magical world. Now Princess Silverwing is hellbent on returning to a time and place that doesn’t exist, or else making her life on Earth-Prime a little more magical. The Starblights: Magical girls gone bad, the Starblights wield their magical power from another dimension to defend their turf and rumble with other supers. Vathek the Appeaser: One of history’s greatest scholars and romantics, Caliph Vathek of the Abassides’s ego doomed him when he thought to get the better of the infamous strange he summoned to grant his every wish. Instead the scholar found himself bound as the devil’s apprentice, doomed to servitude until he sends his master enough souls to buy off his own cosmic debt. And because you’ve all been waiting so patiently for this volume, here’s one of the new heroes to get you started: Princess Silverwing! Some three years ago in “Back Issues” I talked about some of the planned additions to the forthcoming third edition of the Freedom City setting sourcebook for Mutants & Masterminds. 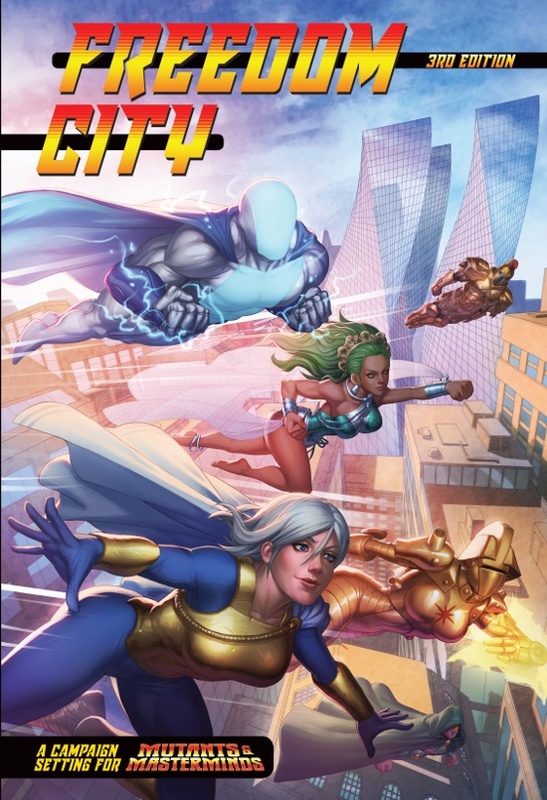 With the latest look at Freedom City now available, I wanted to devote some space here on Ronin Roundtable to talk about some of the “back issue gaps,” or the characters from previous editions of Freedom City (or other Earth-Prime sourcebooks) not included in the new edition. I got my start in RPGs working on “living” settings: Even before I was a regular freelancer for FASA Corporation, their BattleTech and Shadowrun settings were “activated” worlds where time passed at more or less the same rate as it did in the real world, and the same was later true of their Earthdawn setting. I was an active GM and player for West End Games’ Torg, which also moved its Infiniverse setting and the associated Possibility War, forward month by month, year by year. One of Freedom City’s major inspirations—Kurt Busiek’s Astro City comic book—likewise follows the progress of real time, such that Astra, the “little girl lost” in one of the first issues of the series, recently celebrated her college graduation! Back when Green Ronin was looking to publish a second edition of Mutants & Masterminds and Freedom City, there was a desire to expand upon and change up some things, and the passage of time seemed as good a reason as any for that to happen, so we shifted the setting forward a few years to match the difference between the first edition in 2003 and the second in 2006. That approach largely continued throughout the second edition line, although we were more often filling out parts of Earth-Prime’s past or more distant future than its present. 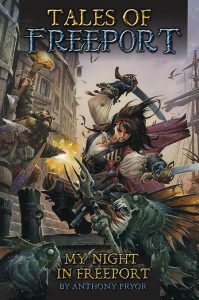 Of course, the space between the second edition of Freedom City and the third is a good deal more substantial, eleven years, just over a decade, and nearly fifteen years since the setting first appeared. It was clear that a lot more was going to change over that time than between the first two editions. Some of Freedom City’s heroes and villains are immortal and unchanging, but others have aged and gone through transitions in life, from the second Raven retiring from crime-fighting to go into politics (passing on her mantle to a young man who was just a teenager in our first Hero High sourcebook) to Johnny Rocket, who was barely out of his teens in the first edition, who is now a mature man, married, and raising a foster daughter with his husband. While we were able to include well over a hundred different characters in Freedom City, third edition, we couldn’t include everyone, and we’re sorry if anybody’s favorite character happened to not make the cut. A few show up in various places in Atlas of Earth-Prime, The Cosmic Handbook, and the forthcoming Rogues Gallery, but even those books don’t cover everyone. Freedom City and Earth-Prime grew a lot over the years, and in some cases it was best to let certain characters fade into the back issue bins of history, the “Whatever Happened To…?” files. That’s not to say we might not revisit some of those characters in future M&M products but, for now, the spotlight has shifted. 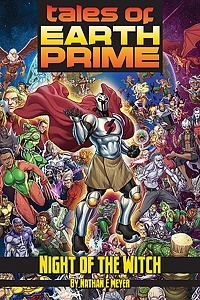 Of course, that’s not to say you can’t include your favorite characters in your own Earth-Prime series. One of the great things about tabletop roleplaying games is that the world is literally what you make of it, and it is yours to do with as you wish. You might decide, rather than time marching onward, that the “present day” of Freedom City remains largely frozen at your favorite point, with its back-story slowly shifting forward in time, much like how the major comic book universes are always set in the present day, with modern histories that extend “10-15 years ago” in spite of focusing on major characters who have existed for more than 70 years! Likewise, you might decide to include your own “Whatever Happened To…?” story and update the fate of your favorite character, or recapture their essence by creating a new “legacy” character who shared the original’s name, and possibly their motif, powers, and some of their history, but is a new version for the modern world. 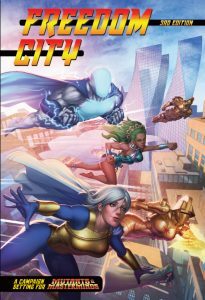 Freedom City is rich with such characters, and the third edition offers more than a few examples, including new heroes like Centuria, Thunderbolt, and the current Lady Liberty. Whichever era of Freedom City you choose to play in (and whichever edition of M&M you choose to play it with), I hope you enjoy your time visiting a city that has come to mean a lot to me over the years, and that you truly “make yourself at home” and enjoy the “freedom” of Freedom City to create your own heroic tales of adventure! Whether visiting for the history and nightlife, or moving to Freedom City for its thriving tech or construction industries, you’ve made the right decision to embrace the city of heroes! And now Freedom City is easier to visit with the print edition of Freedom City 3rd Edition making its way to retailers. As fall begins, All Hallow’s Eve approaches. Though once a yearly reminder that the dead linger just beyond the living world, Halloween has now become a time of fun and frivolity. Even in Freedom City, where genuine monsters sometimes stalk the streets and sewers, Halloween is a time for candy, parties, fun costumes, and laughter. Protected by their spandex-clad heroes, many Freedonians feel downright invulnerable. Too invulnerable. When a Halloween prank ends up calling down far more trouble than anyone expected, Freedom City needs heroes to protect it once again. 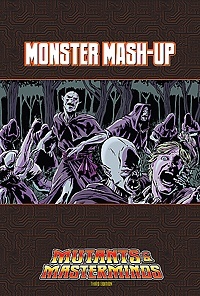 Monster Mash-Up is a free short adventure for a group of three to five PL 10 heroes. The adventure is set in Freedom City, but can easily be transplanted anywhere in the world that celebrates Halloween and has a large, old theater to gather an audience into.